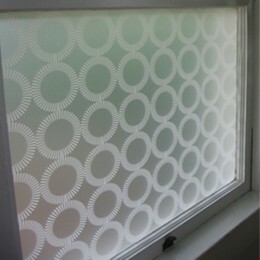 With a combination of modernity and elegance, this piece creates a window film that will convince everyone you've got antique etched glass or lacy textiles. 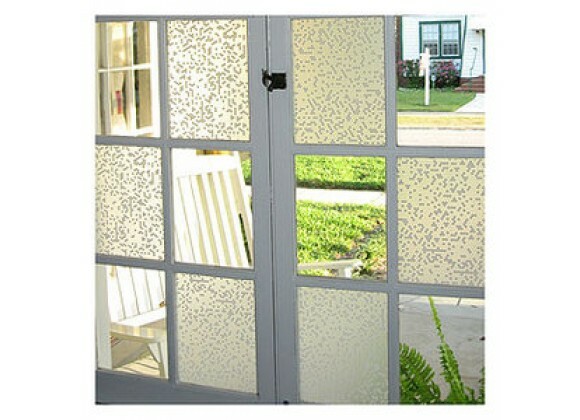 This frosted window covering will ensure that you never have to close those blinds or roll those shades down again. Simply add water and adhere to a window. The film gives total privacy while without sacrificing the beauty of the sunlight passing through! Easy to remove and no residue. Also great on mirrors or any glass surface, such as cabinet doors or tables. 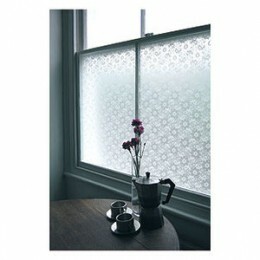 Features: The film gives total privacy while letting full light shine through. Easy to remove and no residue. Great on mirrors or any glass surface, such as cabinet doors or tables. Designed by Emma Jeffs Dimensions (inches) : 37" x 52" roll. See all Window Art Availability: Usually ships in 3-5 business days. Dimensions (inches) : 37" x 52" roll.